I was a student at Le Moyne College in Syracuse, NY, when Fr. 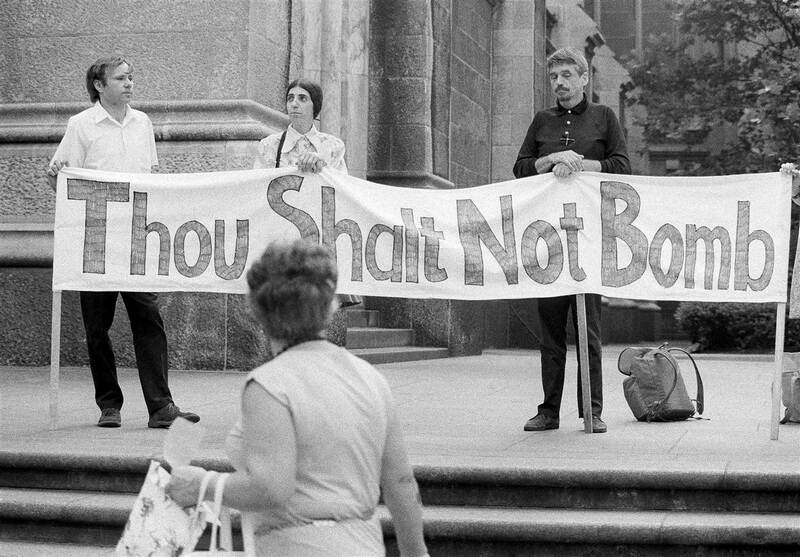 Daniel Berrigan taught there. Although I never had him for class, I remember sitting with other students gathered around him in the cafeteria asking questions and listening to his thoughts on topics of the day. As mentioned in the NY Times article after his death this week, he was very popular with the students. Our generation was criticized as being too complacent and out of touch with the menace of both communism and the American military adventures around the world. Ironically, it was on college campuses all over the country where the most vocal and violent protests would erupt just a few short years after my graduation in 196l. I didn’t think much about Fr. Berrigan again until I opened a fundraising letter asking for donations for an orphanage in Vietnam a few years later. I was living on an Air Force Base where my husband was stationed. Recognizing Fr. Berrigan’s name on the list of those asking for aid, I donated to the cause. What I did not know was that the orphanage was for children in what was then called North Vietnam, our enemy in that conflict. I’m sure that, if there had been the kind of electronic spying on us that the NSA has today, my husband would have gotten in trouble for aiding the enemy. Luckily, that didn’t happen. Frankly, I didn’t have an opinion one way or the other about the war at that time. My husband was in the medical wing, and we just wanted to serve our time and get out. Decades later, after studying international relations, US foreign policy and taking a peace studies class at Illinois State U, I received another request for a donation. This time it was to establish a Fr. Daniel Berrigan Peace Academy at Lemoyne College. I gladly donated to that cause. What an exceptional human being. I’m glad he lived long enough to see a Jesuit become Pope, and not just any Jesuit, but one who preaches what Fr. Berrigan exemplified during his long trial here among us.